Download your marketing strategy template kit now. Nathan is the mastermind behind CoSchedule’s content marketing blog. He’s got a knack for writing actionable content (no fluff here) and knows the secrets to growing your traffic. 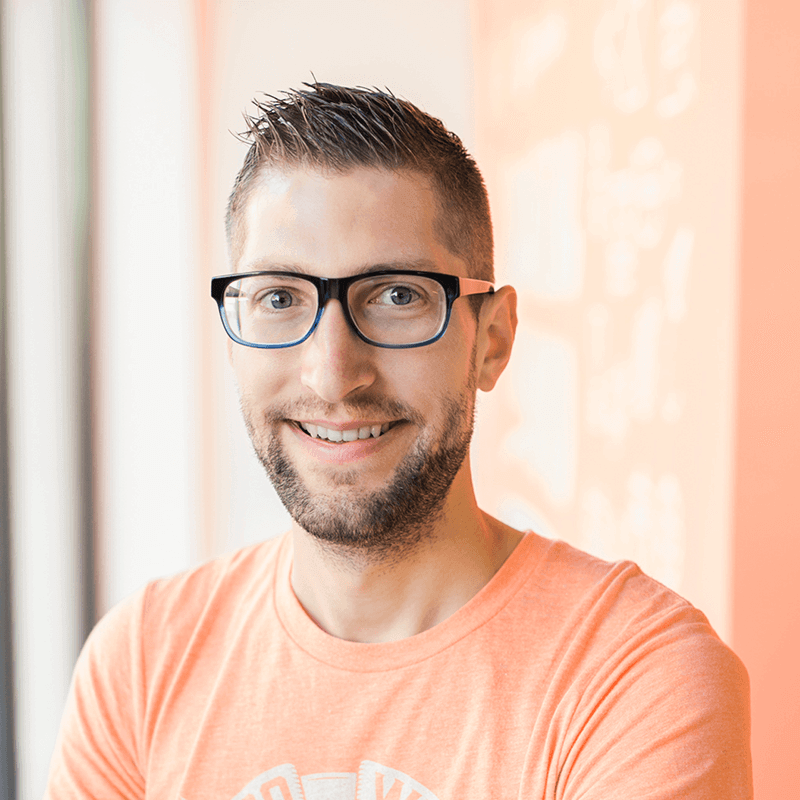 After joining CoSchedule in 2014, he’s grown the CoSchedule blog audience from 500 to over 400,000 monthly subscribers! What if you could get organized, use your time more efficiently, and focus on the right projects every time? Well, you’d be a marketing wizard of awesomeness. And to become that kind of awesome, you’re looking into improving your marketing planning process. Find the missing gaps in your current marketing process to plan content that will produce even bigger results. Organize and prioritize the right projects that will turn your marketing team into a proven revenue driver. Work even more efficiently by removing projects from your to-do list that don’t add measurable growth. The best part? You’re going to learn how to do all of this in a single day. Get ready to become a marketing planning magician. What Is A Marketing Planning Process? Why is Having a Planning Process Meeting Important? An intentional and repeatable process for determining the high-level marketing projects, campaigns, and tactics an organization will execute. Somewhere along the lines, you were told you needed a documented marketing plan or marketing strategy. What if I told you that your documentation could start as simple as a picture of sticky notes stuck on a wall in chronological order? Before documentation comes strategy, ideation, and planning. And that’s what you’re going to learn about now. The marketing planning process identifies opportunities for 10x growth, prioritizes those opportunities, and removes obstacles before the projects begin. There are a ton of things you could do. The marketing planning process helps you prioritize what you should do. The first place to start is by creating a product backlog, according to agile project management methods. For marketers, that means creating a list of marketing projects prioritized from great for growth to least. From there, you’ll know what projects to take on from first to last. The best way we’ve found to create that prioritized list is by involving the team early on. By asking people for their input early in the process, you help them feel invested in the outcome. Later, when you begin executing your successful solutions, the experts you brought in will probably be among your biggest supporters. That’s the same experience we’ve had at CoSchedule for creating a roadmap of projects to come, and one that we highly recommend. There’s a process we’ve developed called the roadmap summit to help you do exactly that. It’s a full-day team meeting with a series of exercises to come up with ideas and prioritize them in your project backlog. This marketing planning process can be done in a day (which is what we recommend to make big decisions quickly and then get to work), or you can spread them out throughout a week or even longer. There is a lot of advice about collaboration, but these exercises also work for solo marketers. Four weeks: The nuts and bolts, dialed-in version of what you’ll create immediately after your roadmap summit. Six months: The concrete plan toward your year vision. It might sound like a tall order. But letting your team know right off the bat that this meeting is about planning projects that will produce measurable results and literally change the world will help them feel super invested in your plans. They’ll give it their all when you start working through your projects. Define the rules: Meetings are pointless if the attendees aren’t 100% invested in the outcome. Help them come prepared by knowing the purpose, telling them to shut off all distractions, and focusing on the big picture instead of small details. Prepare for collaboration: Make a checklist for yourself of the tools you’ll need to lead a successful brainstorming meeting (or use the meeting agenda that complements this post). That checklist should probably include white boards, poster-size Post-It notes, normal-sized Post-It notes, stickers, dry erase markers, masking tape, stop watch, healthy snacks and drinks, and any technology like projectors and extension cables you may need to run the summit. Host it outside the office: There’s something unique that happens when people step off-site for a summit… it feels bigger than a normal meeting. Find somewhere else to work with a creative atmosphere, and cater in food or treat everyone to lunch. Making it feel special will produce special ideas. Find a day when your team can join you for a marketing roadmap summit. Book a conference room in your local coworking space, library, coffee shop—anywhere that’s creative and outside of the office where you typically work. Make reservations with a healthy restaurant within walking distance of your venue (or make plans for catering in). Changing your surroundings, walking, and trying something new are all proven to increase creativity. Gather the items you need to rock a successful meeting (again, there’s a checklist in your meeting agenda). Invite your team to the summit with a note that hypes them up because they get to be involved in the planning. Get ready for a super exciting day to help us plan the next six months of projects, along with the vision for marketing in the next year. I’ve got the day under control complete with a cool location outside the office at (awesome venue) and I’m treating all of you to lunch at (super good restaurant). What are our biggest opportunities to grow our company in the next year? That will be the basis for our conversation throughout the day, and it’s going to be a big one. So some ground rules are to turn off all distractions and to focus on the big wins instead of small details. Start your meeting by defining the 4-6-12 goals in the morning, break for lunch, then brainstorm and prioritize the projects that will accomplish those goals. Now, I know how cheesy these can be. But when done right, you can get your entire team in a collaborative and creative mood to kick off your marketing roadmap summit with the right attitude focused on innovation. What can you do with a concrete block? Use them for building a house! Prop up a car like a jack! Put them in the bathroom as a stepping stool for my kids to reach the sink! You’ll see unconventional ideas start to form—and the small teams will start to collaborate—which is exactly what you need. Plus, you’ll use these small groups to easily run breakout exercises throughout the day. Start by reminding your team of the rules: Turn off phones and laptops and get ’em out of sight. Let them know the purpose of the roadmap summit is to define your vision for the next year, and plan your projects for the next six months. Jump into an ice breaker to split into small groups and inspire creativity. Note: Some folks don’t believe that group brainstorming works. If that’s the case for your team, just work individually instead of breaking into small groups throughout the day. All of the exercises will still work. You’re already publishing some forms of content. It’s helpful to come to the summit prepared and understanding where that content falls in your marketing funnel to find the gaps that are leaking traffic, followers, subscribers, and leads. The first step is to map out your marketing funnel. What large steps do your prospects flow through to eventually become customers? You can see, you’re not looking for the Awareness, Interest, Desire, And Action funnel in the traditional marketing sense. You’re looking for a map of the process a typical customer may go through when experiencing your brand. Under each large step in your map, include sub-steps that need to happen to help turn your readers into paying customers. The point here is to seriously think about the content your audience needs to know, like, and trust you. Once you have their confidence that you can solve their biggest challenges, you’ll win the sale. This exercise is helpful for identifying the areas that are missing content that your audience would find helpful for solving a problem. Now that you know the background, break into the small groups you formed in the ice breaker and have each group create a marketing funnel. Afterward, give each team five minutes to present their funnels. Where on this map is our biggest opportunity for 10x growth? 10% growth is where you can make slight improvements to do what you’re doing slightly better. 10x growth involves risky moves you may have never done before but have the opportunity to double, triple, or even quadruple your results. These are big ideas that—if you did them well—would make the rest of your industry look like they aren’t even trying. On your white board, circle the area with the biggest opportunity for growth and move on to defining your vision on how you’ll master that gap in your marketing funnel. Plan some time before your marketing roadmap summit to explore your marketing funnel for yourself. Ask yourself: What steps do our customers go through from awareness to purchase to retention? In your summit, take 10 minutes to break into small groups to create the marketing funnels and add in the second layer—messaging and stories. Then have each group present their findings to the group, with you taking notes. Sketch the ideal map on your white board with every group’s suggestions. Note: There is no such thing as a true marketing funnel. It’s super unlikely that a visitor will go through every step in one sitting and convert into a customer. However, this exercise is helpful to point out the different messaging needs from your diverse audience. It’s about the messages—the stories—they need right now, and not the types of projects or content you could create. Some of your audience won’t need certain stories at different points in your funnel, but the more you create at different points in your map, the more likely you’ll be to serve a diverse set of needs. The next exercise in your marketing roadmap summit is to work through the vision of what you’d like to accomplish throughout the following year. This vision will roll up into your overarching company’s vision or mission. In the following year, we will _____ because _____. In 2018, we will focus on in-depth, actionable, step-by-step content because we want to help our audience solve their problems themselves while seeing our product as a tool that can help them take control. That’s purely an example, but you get the idea. And when you share that with your team, they’ll know what you’re expecting of them. After each group has a vision, collect them yourself and stick them on the wall. From there, you’ll create a new mega vision by stealing the best pieces from every group. Now you have a starting point to come up with the project ideas that will fulfill the vision. Give each group a poster-sized Post-It note and 15 minutes to fill in the blanks: In (Year), we will (focus) because (outcome). Post each vision on a wall, then you read them out loud to the entire team. This prevents at least some bias. Give everyone four stickers (or fewer depending on how many groups you have) to put next to their favorite parts in the visions. Then spend the remaining time reviewing each group’s thoughts and crafting the one best vision for your marketing planning. Spend some time identifying the top problems your marketing team is facing. Don’t focus on solutions yet—just the problems. Why? You need to know what might prevent you from reaching your vision. What are our top problems as a marketing team? What aren’t we paying attention to that we should be? What changes are we seeing in our industry that we should be paying more attention to? After 10 minutes, go around the group and ask them to read their problems out loud and stick them on the wall. These are the roadblocks you either need to resolve now or as your team executes the projects to make your vision a reality. Some of these problems may also be resolved through the projects you’ll take on. Write several open-ended questions on the white board and ask them to your team. Give everyone Post-It notes and ask them to write the answers to your questions on them. After about 10 minutes, go around the room and have each person present their top problems one by one, then post them on the wall. Give everyone four stickers and ask them to place their stickers next to what they believe are the biggest marketing problems. Move the notes with the most stickers to a part of the white board where you made your map. This white board now shows your biggest opportunities and challenges, which will be the areas you’ll want to focus on when you brainstorm the projects that will help you reach your vision. You’re two hours deep into an aggressive marketing planning process, and it’s probably feeling a bit intense right now. Break for lunch, get out of the room, and hang out together a bit. The next exercise is to spend some time individually writing down project ideas that will fulfill the vision. Have everyone write down their ideas one by one on Post-It notes. For you, it helps to come to the marketing roadmap summit prepared with a list of projects you have thought about in the past. Just remember, some of those old ideas may not help with the vision you just defined with your team. All ideas are good. Even if you have reservations about a thought, write it down. Good ideas often build off seemingly one-off thoughts. And in the next step, you’ll filter out the ideas that might not fit your vision. Think big. Really big. If you’ve never done a project that you think might work, that’s exactly what you’re looking for. 10x growth ideas don’t come from status quo. Encourage out-of-the-norm, risky ideas that just might explode in your niche. Just because competitor X is doing something, that doesn’t mean you should copycat. Before the marketing roadmap summit, review your current project backlog list if you have one. Just because ideas are old doesn’t mean they’re bad or won’t fit your new vision. As your team starts the exercise during your summit, kick it off by explaining that you’re looking for project ideas and not just content types, that you want to hear all of their ideas, and to think of projects that have opportunity for 10x growth instead of 10% improvement. Give them all a stack of Post-It notes and away they go. Remember when you drew out your marketing funnel, circled your biggest opportunity, and taught your team the difference between 10% improvement and 10x growth? Now it’s time to add another small layer to your map to help your team post their project ideas under each area of the funnel and prioritize them based on the biggest opportunity for growth. On the white board, add two labels for 10% improvement and 10x growth. As the facilitator, ask your team to hand you all of their ideas. Then read them aloud one by one, get the team’s feedback on placement, and map them on your funnel according to the best fit and opportunity for growth. Once all the ideas are mapped, reread your Big, Hairy, Audacious Goal to your team. Check out which of the 10x ideas fit the vision—along with the circled destination of opportunity. Give everyone on the team five stickers, and ask them to place them next to the projects they think have the biggest opportunity for 10x growth. Chances are, the projects that are in the circled area of biggest opportunity should have the most stickers because they fulfill your vision. Pick the projects that have the most stickers, and stick them in an order starting with most to least. Now compare those projects to some of your top problems that the team created earlier. Will these projects solve the biggest problems? Do they fit with your vision? And do they capture your biggest opportunity? Under your marketing funnel map, add labels for 10x and 10%. Gather all of the project idea Post-It notes from your team. Read them out loud, and ask for your team’s input on where the project fits along the map (or in the top problems area) and whether that idea is a 10x or 10% idea. It’s OK to use that as a scale instead of thinking of the labels as clearly defined rows. Stick each note where it fits best. Read the vision statement out loud to your team. Then review the 10x ideas that seem to mesh well with your vision, specifically the circled opportunity on your map or in the top problems. Hand out five stickers to everyone, and ask them to vote for the projects they think are the best opportunities for growth. Grab the Post-It notes with the most stickers on them, and prioritize them in a line from most stickers to least. Review those projects against your opportunity, vision, and top problems. Refine. The outcome of this marketing planning process is your product backlog, as Chris and Hillary call it in The Elements Of Scrum. For your purposes, this is now your marketing project backlog. It’s completely prioritized according to what you and your team believe will help you accomplish your goals. And the best part? Your team made this backlog, so they’re now invested in making every project as successful as possible. They know your vision and they know exactly how they’ll help make it a reality. Win-win-win. When you get back to the office, chances are that you’ll have several projects to wrap up before you can start working through the new project backlog you just created in your marketing planning process. That’s what the four weeks is about. Plan how you can finish the one-off projects you’re currently working through now so you can strategically use your time for the projects that will execute your long-term vision in the following six months. After your four weeks are up, start the first project in your prioritized list. It’s not a perfect science, either—you may have ended up with projects that will take much longer than six months. The point is that you found the largest area of opportunity, built a vision to capture that opportunity, and are now working on projects that will turn that vision into a reality. How Will You Use This Marketing Planning Process? If you’ve been cruising around the internet for information on marketing planning and strategy, the process you just learned about may sound completely different. And that’s a good thing. Because this works, and it’s proven to be effective. I encourage you to take a risk and try this out. After all, it just might make you the leading marketer in your niche… and all you have to lose is one day. *I totally grabbed this tactic from the book Sprint. If you enjoy exercises like these, moving fast, and giving yourself deadlines to get more done in less time, I highly recommend reading the book. Your kit should download shortly. In the meantime, get a head start on your marketing strategy by starting a 14-day FREE trial of CoSchedule! In the meantime, get a head start on your marketing strategy by scheduling a demo with a CoSchedule expert! No thanks, back to the guide.